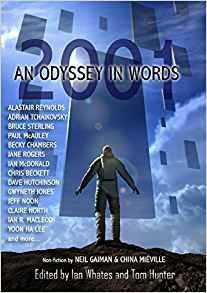 To celebrate the centenary of Arthur C. Clarke’s birth, NewCon Press has produced a volume of stories that all contain exactly 2001 words. It’s a fantastic concept, giving rise to a great selection of brief yet entertaining stories but, even with a page count of around 200 pages, that still amounts to rather a lot of stories for me to cover in a single review. Some of the contributions have a definite Arthur C. Clarke feel to them, others reference various of his well-known works, notably ‘2001: A Space Odyssey’, and others are just great Science Fiction. There’s a chance that with so much to comment on, I could end up writing this review in 2001 words, too.